India is a land of ancient wisdom, culture, and history. There are numerous places in India that represent the great minds of people who contributed to building and nurturing multiple historical places. There are so many historical places in India that it is difficult to come up with a list of 10 best historical places and monuments. However, we are rating the top 10 historical places basis their accessibility, popularity, rich culture and history. Konark temple is one of the most amazing historical monuments in India. 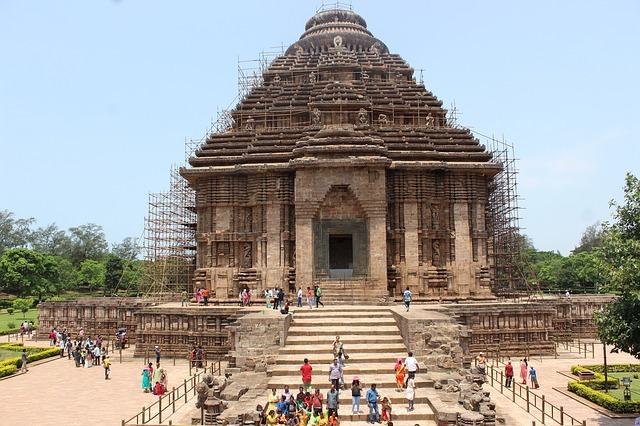 It is devoted to the Sun God ‘Surya’, the prepossessing Konark Temple is the most spellbinding historic site in Odisha. The Kalinga architecture influence can be found on its gigantic chariot, pillars, and walls. Also classified as ‘Black Pagoda’ by some European sailors, this UNESCO World Heritage site has also featured in the list of 7 Wonders of India. The magnificent Khandolite rocks make the beauty of this temple even more attractive to the human eyes. 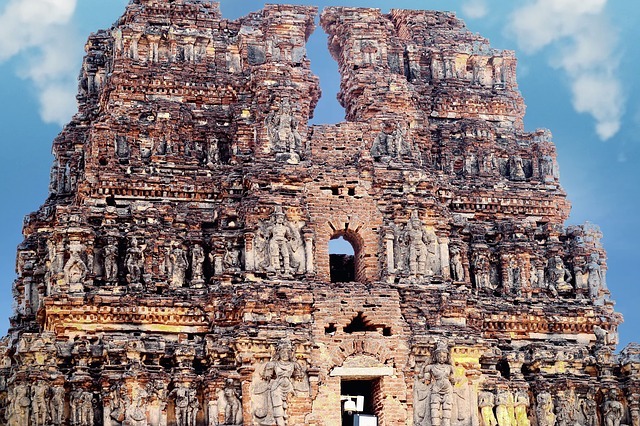 Situated in Karnataka, the great city of Hampi houses some of the most breath-taking temples. The Virupaksha Temple situated in Hampi is one of the most astonishing marvels ever discovered. The sculptures of Lord Shiva carved on stones is the main feature of this spectacular temple. The temple was built under the ruler Deva Raya II of the great Vijayanagara Empire. It is like many in the list is a UNESCO World Heritage site. Enjoy the annual festivals of Virupaksha, Pampa, and chariot in Hampi to get a deeper look into the ever so opulent temple of Virupaksha. The enthralling caves of Ajanta and Ellora in Maharashtra are the epitome of beauty. 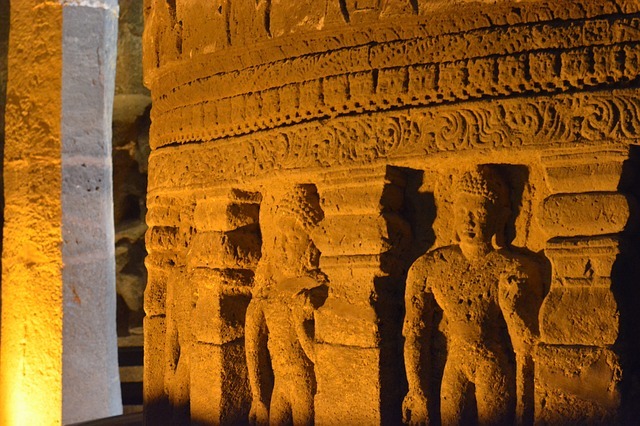 With their authentic rock-cut sculptures and ancient Indian art, the caves have become a UNESCO World Heritage site. The artifacts in the cave portray the past lives and rebirths of Buddha in spellbinding sculptures and murals. Discovered in 1819, the caves are a popular tourist hot spots and a must visit. 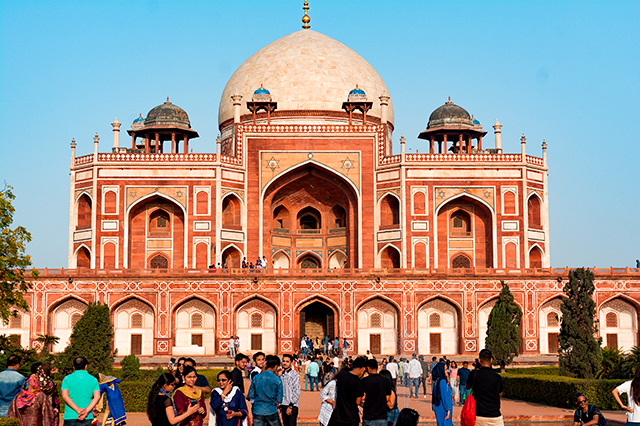 This epitome of Mughal architecture, built entirely with white marble is one of the most well-known identifiers of India. Its grandeur and beauty will have you spellbound. Shah Jahan built this paragon for his wife Mumtaz Mahal to enunciate his love for her. 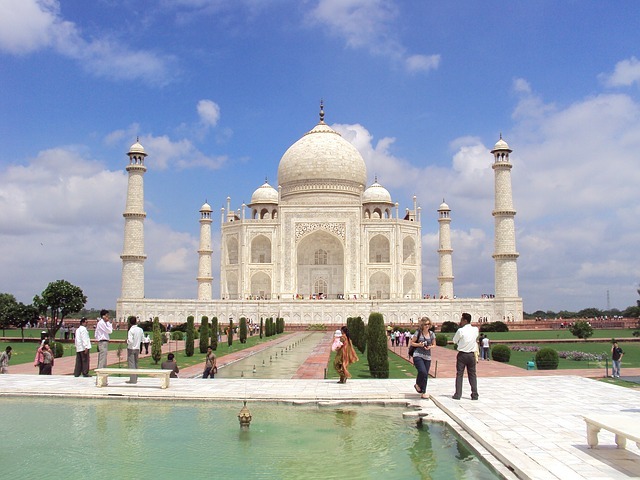 Situated in one of the “Golden Triangle” cities, you also get an opportunity to explore the streets of Agra. Built at the height glory for Mughal Empire by Shah Jahan, Lal Quila was completed in a period of nine years. The fort today stands as a testimony to the magnificent glory and power of Mughal Sultanate, adorned in walls of red sandstone. 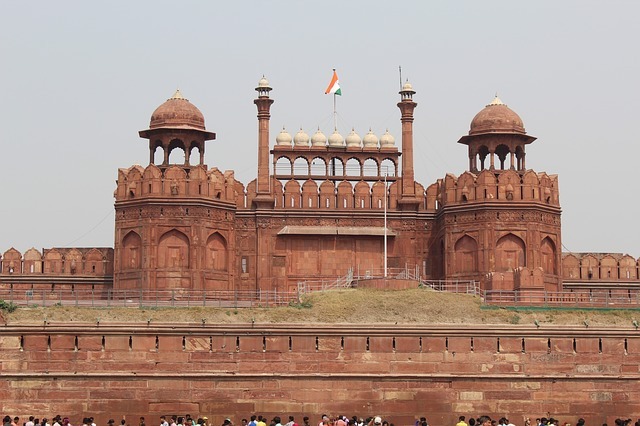 One of the most politically significant monument, the Red Fort witnesses the independence day celebrations every year. A fine blend of Persian and indigenous architectural styles, the Red Fort hosts important key rooms such, Diwan-i-aam, Diwan-i-Khas, Mumtaz Mahal, Rang Mahal among many others. Spending a pleasant autumn day around the lawns of this area would be the perfect way to walk through the history of Mughal India. 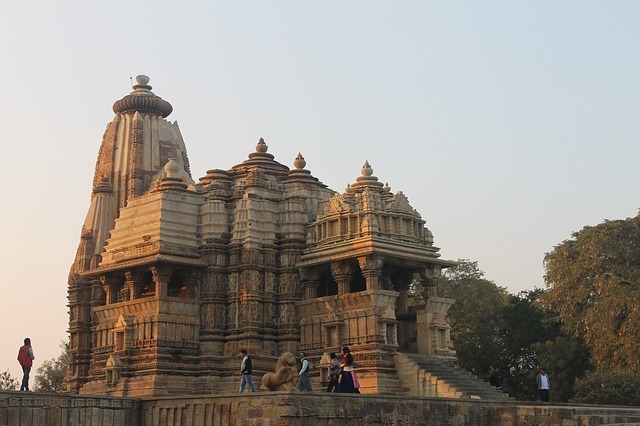 Located in the small town of Khajuraho, the Khajuraho Temples have found a place within UNESCO’s list of World Heritage Sites and are visited annually by many visitors. This group of Hindu and Jain temples built by the Chandelas reflects the acceptance and respect for diverse religions during those times. All temples, barring one, are east-facing and glimmer at the break of dawn by the sunrise. The temples are famous for intricately carved statues and sculptures, some of which are remnants of the ancient culture of Kama Sutra. Visit these temples to delve deeper into the traditional Hindu values of Dharma, Kama, Artha, and Moksha, that these temples are symbolic of. The only point of entry for tourists to the magnificent Agra Fort is the Amar Singh Gate. Once inside, you can visit the palaces and the courtyard. 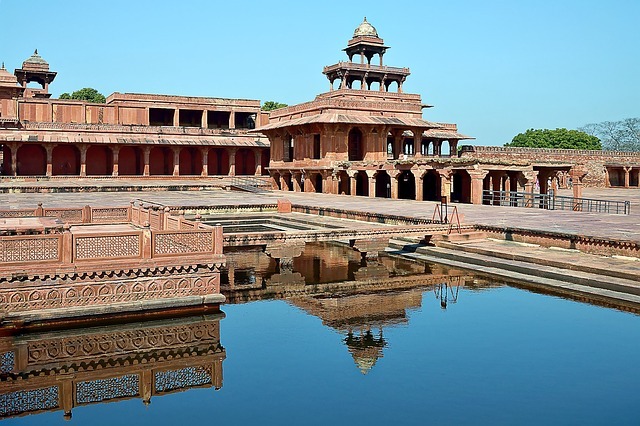 One of the famous spots inside the Agra Fort is the Jahangiri Mahal that has a deep pool with stone steps. Once this city was a proud capital of the Mughal Empire during the 16th century. Today Fatehpur Sikri stands deserted but as well preserved ghost town. It was abandoned by its citizens after only 15 years due to an insufficient water supply. 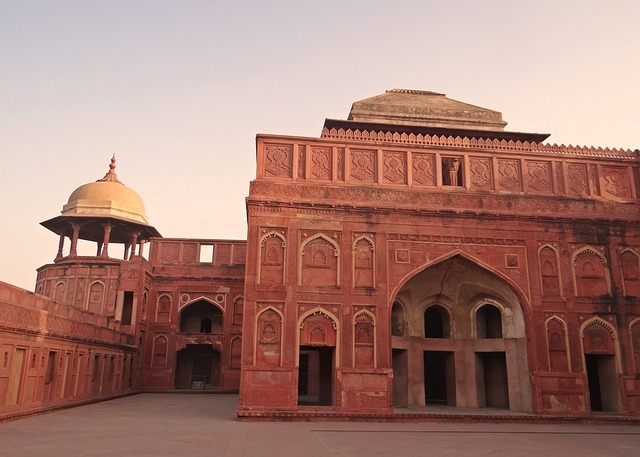 The most recommended visit to Fatehpur Sikri is on a day trip from Agra city. 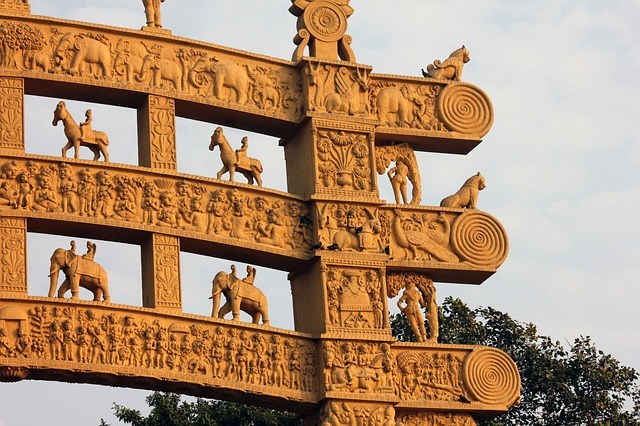 The Sanchi stupa stands as an unparalleled example of the magical view that is full of Buddhist style of architecture. Ancient relics of Lord Buddha are rooted within the dome-shaped structure of the stupa, which was how the structure looked until the dawn of the 1st century. The stupa borrows its esteem from its emperor, Ashoka of the Maurya dynasty, whose statue can be well indicated in the terms of the stupa’s altitude. The 54 ft. high stupa tells the stories of Lord Buddha’s life through its amazing carvings, whose complexity is the hallmark of the architecture. Marked as a UNESCO world heritage site the stupa is visited regularly by uncountable visitors. A must visit historical place in from our list.